Photos of Audrey Hepburn circa Breakfast at Tiffany's are ubiquitous. Thanks to IKEA, I even had a poster of one of the film's shots in my freshman dorm room. "I honestly assumed she died in her twenties because I've never seen a picture of her any older." 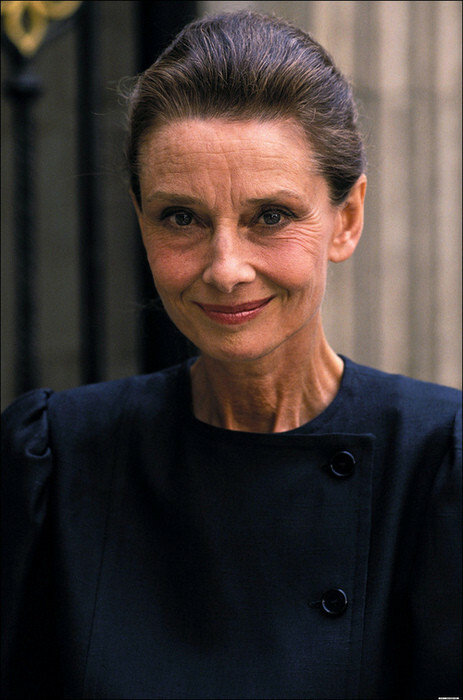 Fortunately, Audrey lived well past her 30s. It's high time we celebrated that. CORRECTION: This story previously implied that Audrey Hepburn filmed "Breakfast At Tiffany's" while she was in her 20s. She was actually in her 30s. Hepburn wore this Givenchy dress to the 1954 Academy Awards, where she won the Best Actress Oscar for her role in the film "Roman Holiday." The delicate lace and the classic silhouette makes this an iconic style moment.